Am I the only homeschool mom who carefully selects literature books for the year, spends time creating well thought-out plans to help her kids grow their literature skills, only to have her teenagers do the shoulder-shrugging “I don’t have anything to say” thing when it comes to writing about literature? I bet my secret stash of chocolate I’m not the only one. We’re using freewrites this year as a weekly reflection on our literature. We read Monday through Thursday and get together on Friday for discussion and writing. 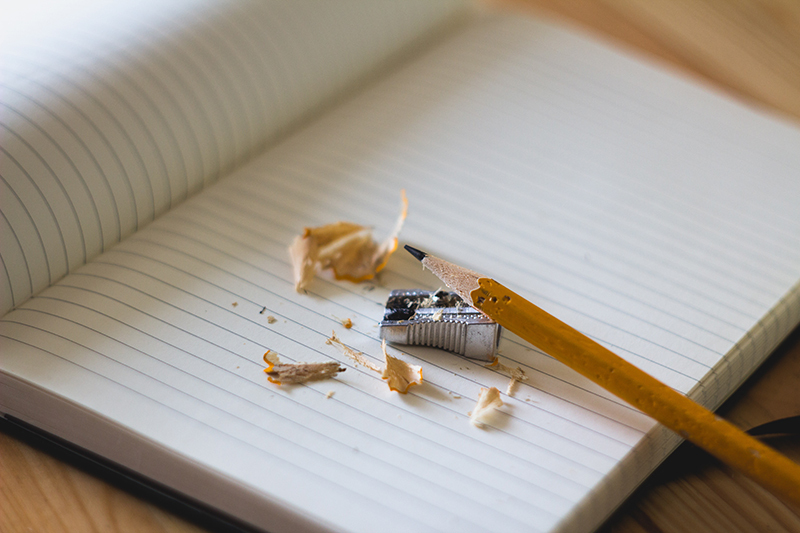 I’ve noticed so far that both of my teens struggle to expand on their ideas in writing. They can summarize the story events well, but including their own interpretation & insight is harder for them. They tell me they don’t know what more to say. And they tell me this immediately after we’ve had a wonderful conversation about the week’s reading where I have literally heard them say interesting things about their book. Dust off the straight jacket because it’s enough to drive a homeschool mom crazy. So what do you do about this problem? Unfortunately, I haven’t found the one unicorn that magically solves the problem. But I have found a few things that help. 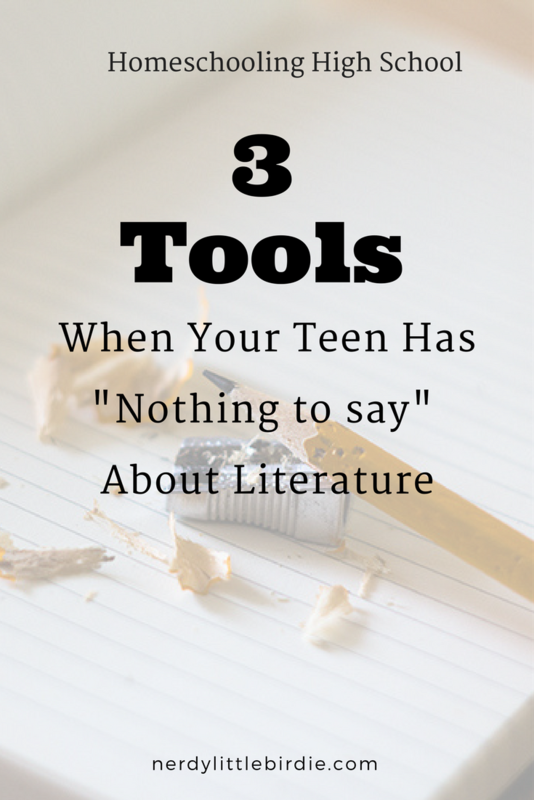 This year I’m using three tools that each have a role in lessening the “I don’t have anything more to say” issue. I’ve written before on how I plan literature with a Boomerang guide. Boomerangs are certainly an important tool in my homeschool. The guide helps me see different directions I can potentially take with a book, along with the practical aspects of study it offers, such as opening lines, grammar examples, discussion/essay questions. 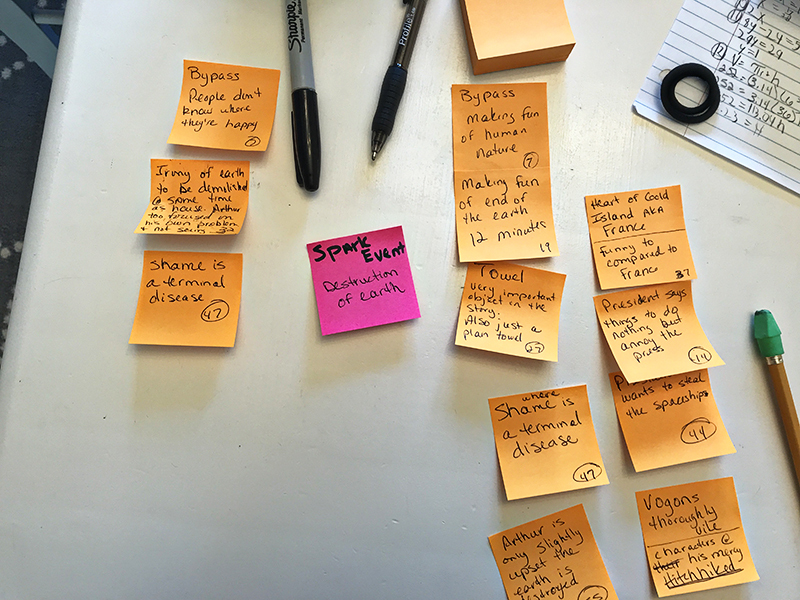 Rooted in Language has a new product this year called Annotating Literary Elements. I purchased it in August to supplement our Boomerang guides and it has quickly become valuable in helping us develop deeper insight with literature. On the one hand I wouldn’t call this an open and go curriculum and it isn’t intended as such. But on the other hand, if you need to jump in quickly with a book, the Plot Arc lesson alone will enrich your literature studies so much! At least that’s my experience. We moved out of state in the middle of August and I didn’t have time to pre-read any new curriculum before we started back to school. So when I got this guide, I sort of took an “open and go” approach and jumped right into the Plot Arc lesson. During our Friday literature discussion, I take a stack of mini sticky notes and jot down whatever events my teens want to discuss from their reading. [They highlight important (to them) passages as they read.] This is when we’ll speculate over the deeper meaning that may be in the passage or event. I let my kids speculate first so it can be their insight, not mine. But if they seem to need a nudge, I give a nudge. Here are my sticky notes from a recent discussion of The Hitchhicker’s Guide to the Galaxy, each kid having his own stickies since they’re tracking different aspects of the book. 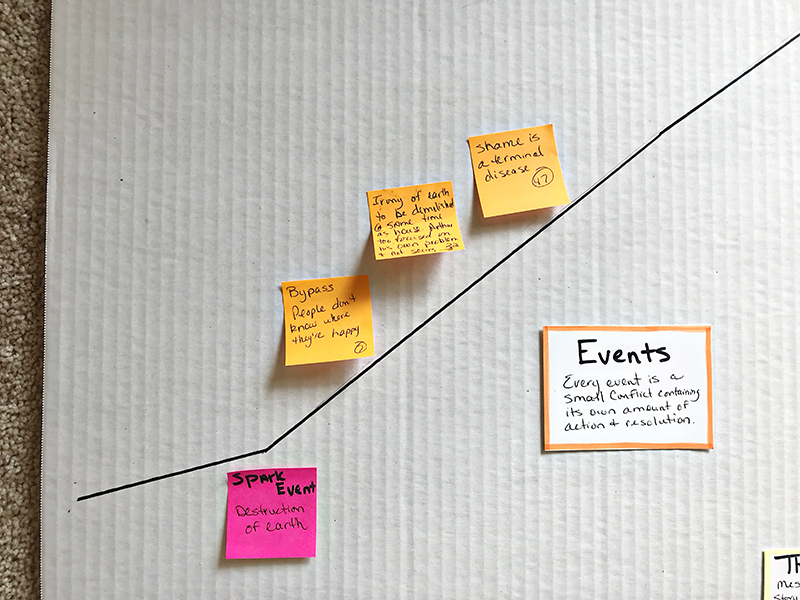 Once the discussion is over, we move the sticky notes to our plot arc I recreated (from Annotating Literary Elements pg 5) on a large trifold display board. From there my teens select one or two events and freewrite on it. Rinse and repeat each week until we finish the novel. We’ve completed two different Boomerang novels in conjunction with the Annotating Lit guide so far. The plot arc lesson makes it so much easier for us to decide on themes and practice having our own insights with a novel. Rita’s instruction on using the spark event, crisis and climax to determine theme was an A-ha moment for us. I can’t recommend this product enough. In a previous post I wrote about my new source for essay models. I’m using this book series in our homeschool specifically to help my teens see how other students connect their insights to events in a book. It’s working towards the idea of asserting an opinion about a book and then supporting your statement with evidence from the book. 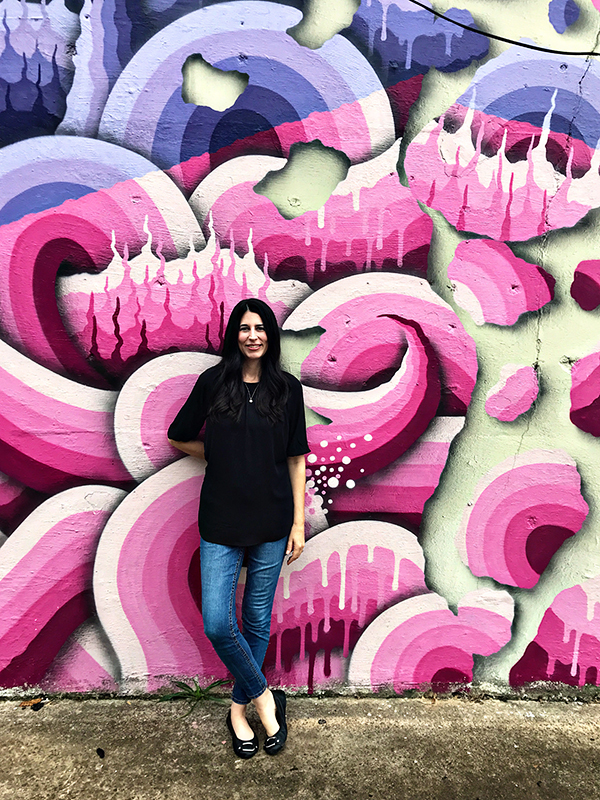 The 2017 Best Teen Writing book has a critical essay titled Comparing the Societies of Fahrenheit 451 and Modern America written by Danielle Sherman (13 years old). As I read this essay myself, I looked for sentences where the author used an event from the book and then added her interpretation of the event in relation to her thesis. 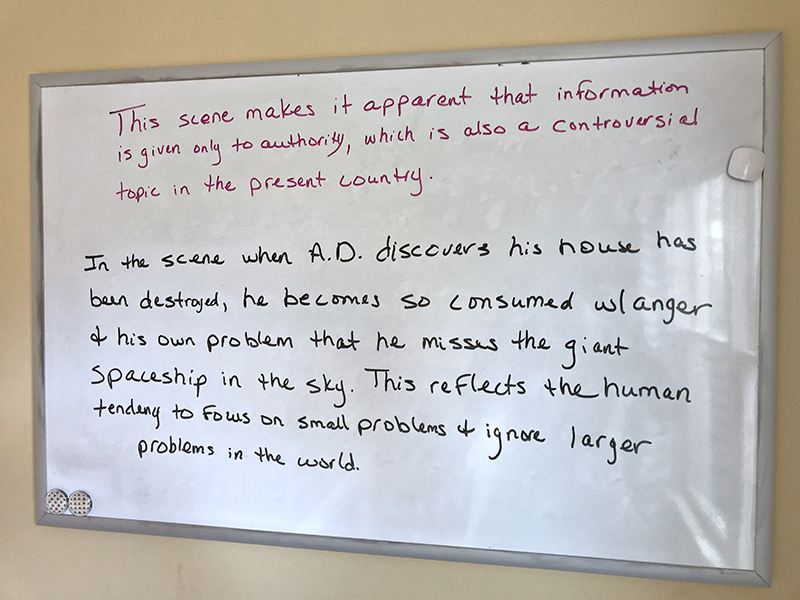 On our freewrite day, I copied a sentence from the essay onto our white board that demonstrated Miss Sherman including her take on an event from Fahrenheit 451. The sentence in purple is the copied example. My son and I chatted about what she did, then took one of his notes from The Hitchhiker’s Guide and worked together on a sentence that included his own interpretation. At this point I’m not concerned with a thesis or whether this sentence would support his thesis. A thesis isn’t on our radar yet. We are simply practicing how to articulate our thoughts about the story. For now that’s my sole purpose for using these teen essays as models. Based on their last freewrite responses, providing a model was beneficial to my high schoolers. They wrote more of their thoughts about the story rather than only details of the story. That’s progress! I think I actually clapped my hands when I read the freewrites, I was that excited about their improvement. The Boomerangs, the Annotation guide, and model essays – it feels like I’ve found our literature trifecta for our school year. P.S. 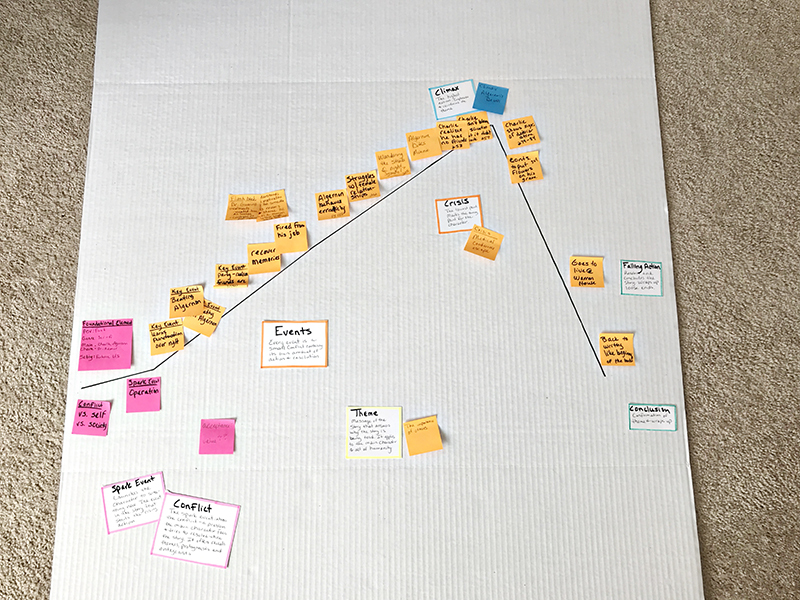 Here’s a picture our completed plot arc from our previous book, Flowers for Algernon, just so you can see the overall arc on the display board. It’s not the best photo, but it’ll do. I recreated it from page 5 of the Annotating Literary Elements guide. It helped to have a large-scale model to place all of our sticky notes. Bonus points that this display board folds up and can be tucked away during the week while also keeping our sticky notes secured.